Twenty miles south of Rochester, NY in Livingston County and the heart of Genesee Valley, Avon Central School District's three schools serve 1,000 students. 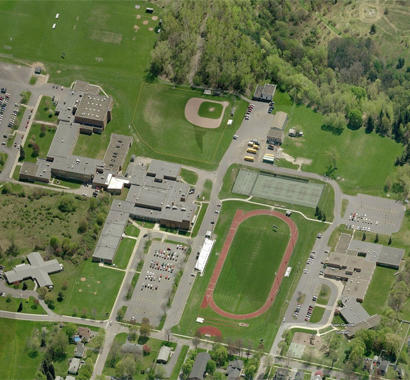 Campus has been serving Avon CSD since 1998. Our first project with Avon CSD was a $1 million pool restoration as Clerk of the Works. We provided full CM services on the subsequent $14.9 million in district-wide additions and alterations The project featured a new library, new gymnasium, new all-weather track, and renovations to the high school kitchen. Although the District opted to change its architect in 2003, Campus was asked to remain on the team due to our positive working relationships and proven track record as a reliable District advocate. Its $9.9 million project consisted of renovations to all three schools and included roofing, window and lighting system replacements, an emergency power system, reconstruction of the computer and art classrooms, and upgrades to the auditorium with new sound, lighting and air conditioning. In 2008, Campus managed an EXCEL project that consisted of a 4,000 SF music suite addition to the middle school. The project also included outdoor tennis court lighting, and upgrades to technology, security, and communication systems. Assistance with various small repair projects followed, along with an alternative energy project funded by a NYSERDA grant and Power Purchase Agreement (PPA). With 5,000 solar panels, the District’s new solar array is the largest in Western NY for any school system. Our latest project for Avon CSD broke ground in Summer 2015. 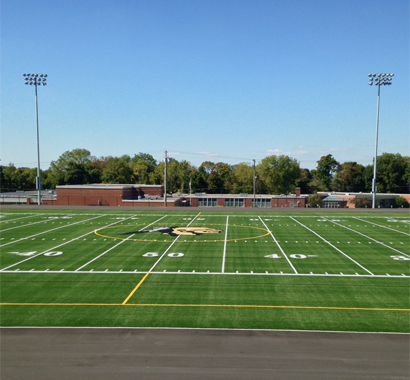 It included a built-in concession stand at the athletic complex, an eight-lane track and synthetic turf football field, full swimming pool renovation, district-wide HVAC renovations and site improvements, an auditorium catwalk, and an extension of the loading dock.